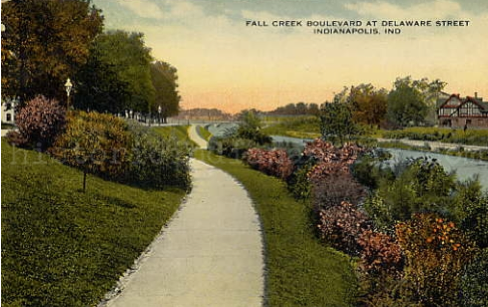 Forty years before Indianapolis Star columnist Lowell Nussbaum organized a fundraising drive for an Indianapolis Zoo, Riverside Park housed two bears, five foxes, two eagles, one monkey, 12 alligators, and eight deer. Built at the turn of the century, a November 9, 1910 photograph of the circular Bear Pit became an postcard iconic image. Here are two looks into the lives of Indianapolians from July 1911. 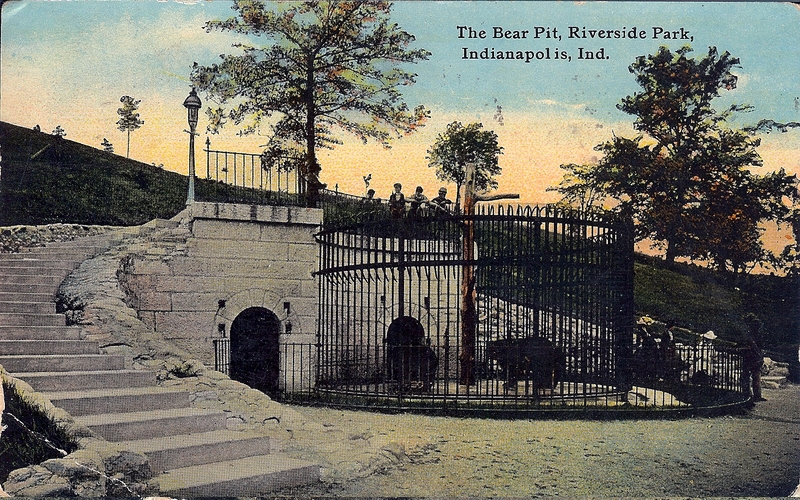 The Riverside Park Bear Pit postcard sent from Indianapolis, IND. 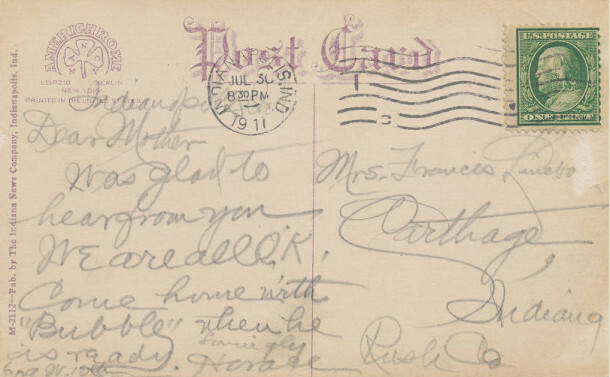 on JUL 31, 1911. This version of the Bear Pit postcard was printed by the Majestic Publishing Co. in Indianapolis, IND. 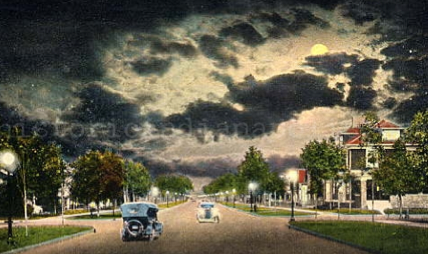 Hope you are well and will let me know when you are coming up to Indpls to see us. The Riverside Park Bear Pit postcard sent from Indianapolis, IND. 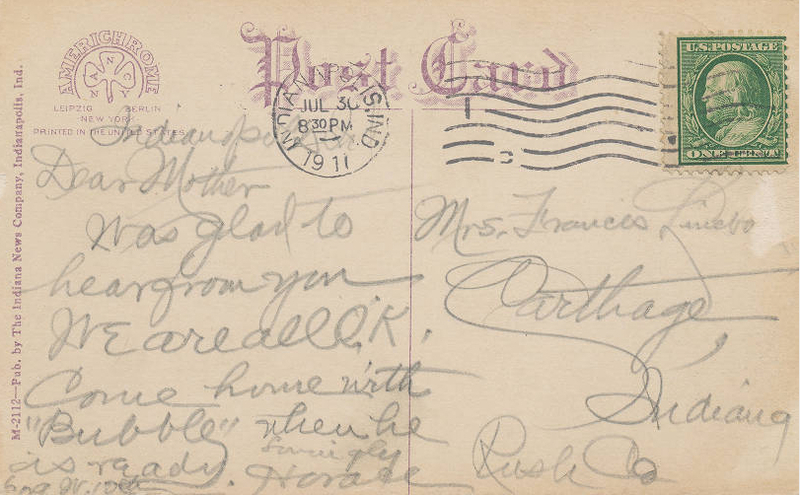 on JUL 30, 1911. 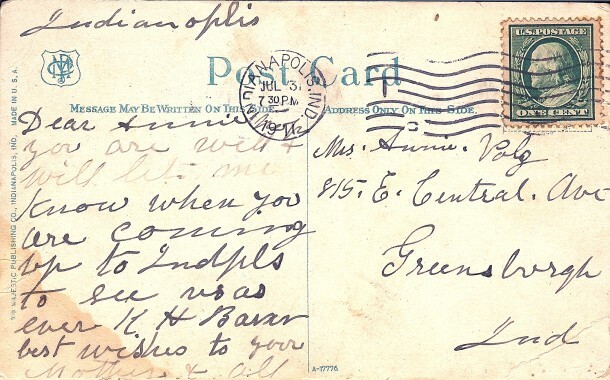 This version of the Bear Pit postcard was published by The Indiana News Company in Indianapolis, Ind. Come home with “Bubbly” when he is ready. 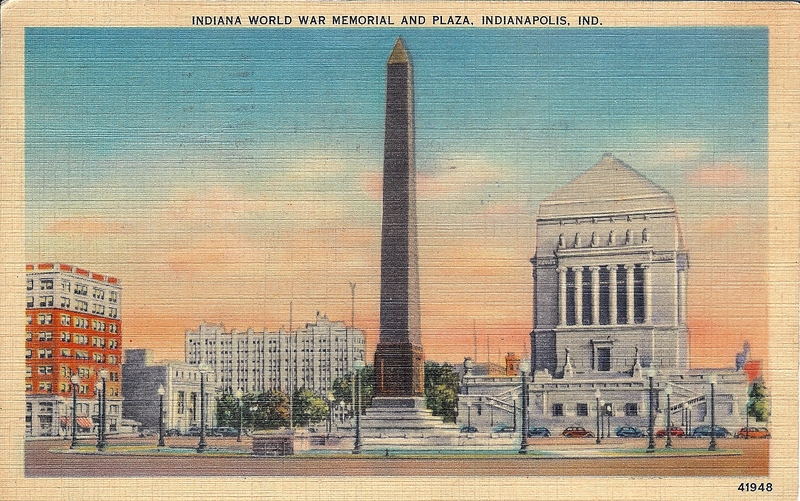 A penny for your thoughts … The Soldiers’ and Sailors’ Monument and the International Motor Speedway are two of Indianapolis’ most iconic images. 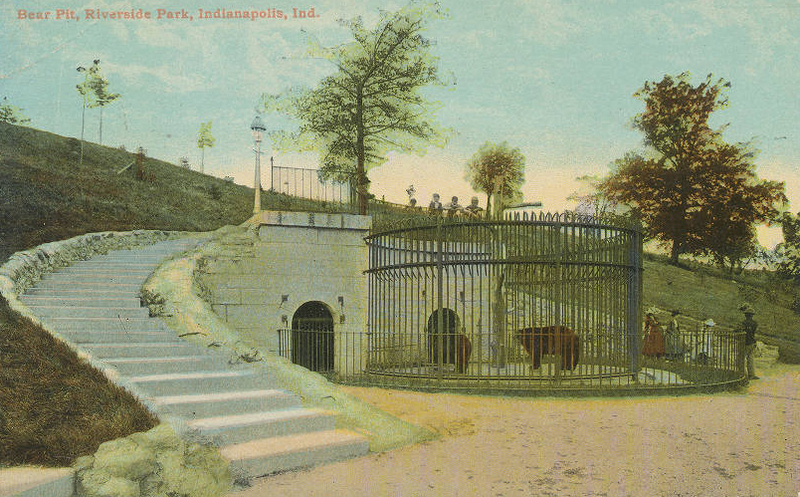 However, in the 1910s, the Riverside Park Bear Pit was a very popular postcard image. 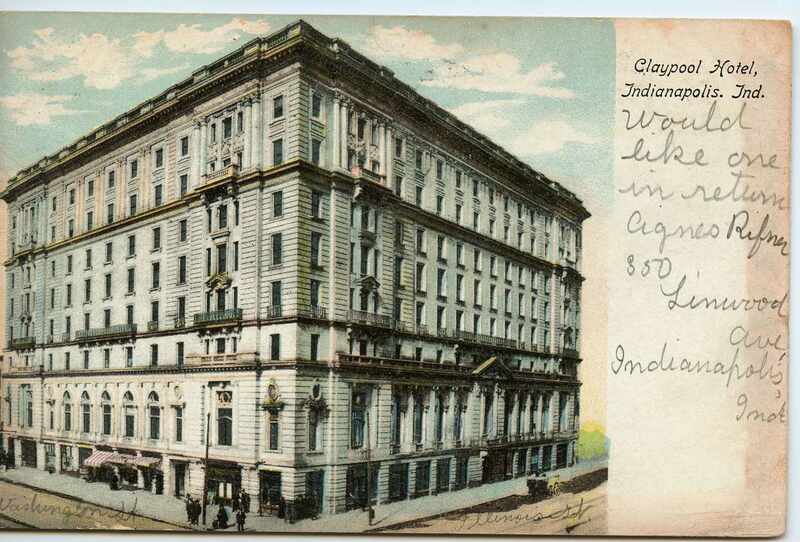 What are the most frequent Indianapolis landmarks you find on old post cards? Learn more about Riverside Amusement Park by checking out Gwen Sunkel’s article, In The Park: Riverside Amusement Park.